Item # 310977 Stash Points: 5,995 (?) This is the number of points you get in The Zumiez Stash for purchasing this item. Stash points are redeemable for exclusive rewards only available to Zumiez Stash members. To redeem your points check out the rewards catalog on thestash.zumiez.com. 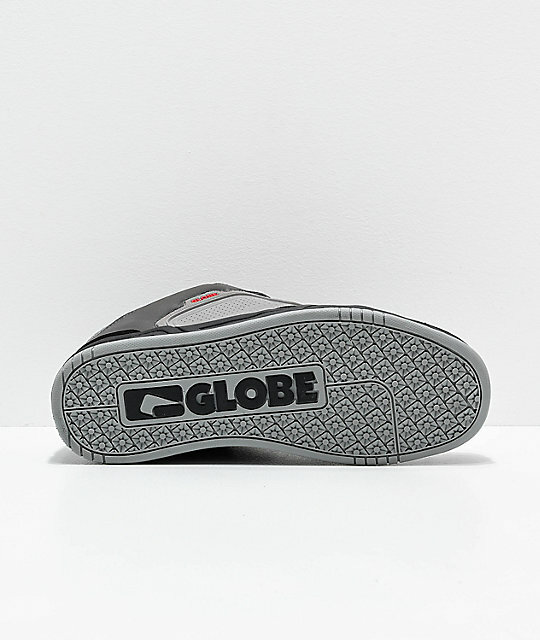 Get some seriously bomb proof kicks with a pair of Globe Scribe Grey, Black & Red Skate Shoes. 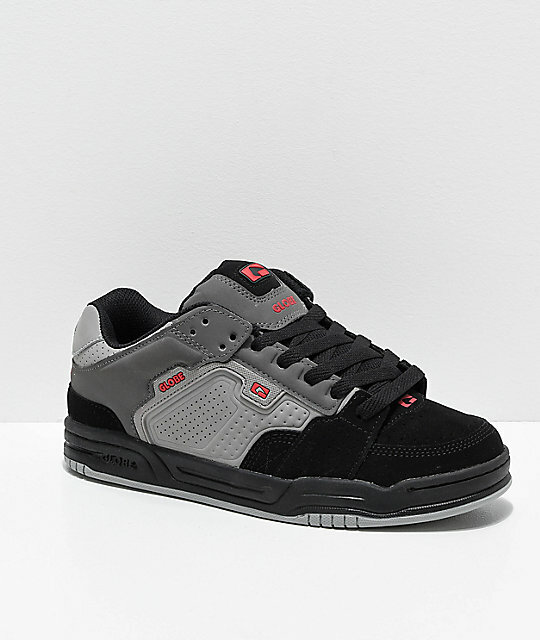 One of the most popular skate shoes of the early 2000s has been reimagined in a much lighter weight construction for todays skater, but with all the durability of it's predecessors. Heavily padded throughout and with a cupsole construction, these shoes are extremely comfortable and with double stitching throughout they can take a real beating. 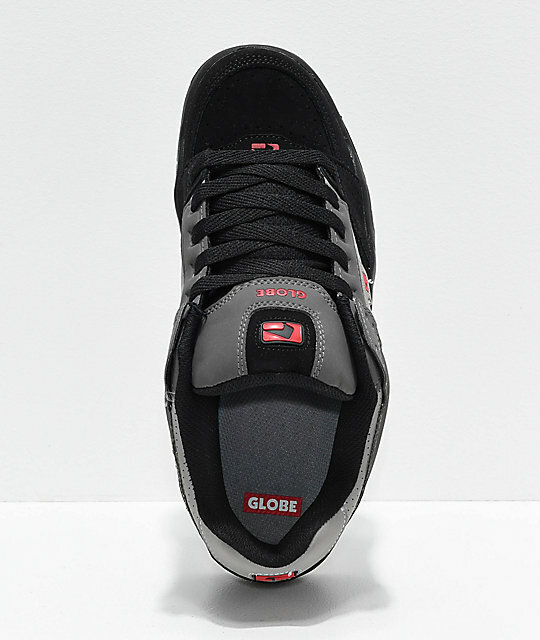 Scribe Grey, Black & Red Skate Shoes From Globe. Triple stitched details on abrasion panels and double layer toe. Multiple exterior layers for durability. Reinforced combo lacing to prevent wear. Heavily padded tongue and mesh lined collar/interior. Globe S-Trac tread for grip and flex.